I am now officially signed up to RideLondon. As I said in this post, I have a place to ride with Macmillan, the cancer support charity, on the proviso that I raise a lot of money for them. 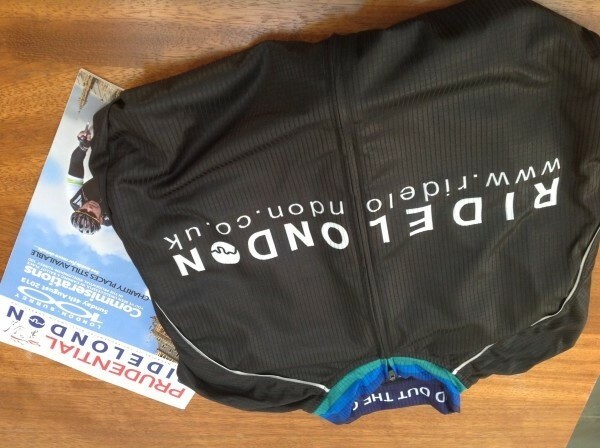 The event (which is now called the Prudential RideLondon-Surrey 100) takes place on Sunday 4th August. This is a 163 days away, which starts to sound quite worrying. As suggested by the name of the event, the course is 100 miles long. It starts at the Olympic park in East London, cuts straight through the central London to Chiswick, then heads south-west for a loop through the Surrey countryside. The ‘highlight’ will be the ascent of Box Hill, which occurs approximately two thirds of the way around the Surrey loop. Then it is back through south west London, crossing the river at Putney and a sprint finish on the Mall. All the roads for the event will be closed to all vehicles other than the participating cyclists, which is going to be awesome. I am familiar with some of the roads through central London and the south-west of the city and, to be honest, they can be miserable for cyclists. Without cars, lorries and buses however, these roads could turn into the event’s saving grace for me. They are generally flat and wide, and therefore fast. If all the roads for the event were country roads winding up and down hills, there is no way I’d be able to do 100 miles in the allotted time. I’ll do a more in-depth piece on the route in due course, using the pro team method (Google Earth). In order to enter the event, you have to be able to complete the 100-mile route in 9 hours. I have said I’ll do it in 7 hours 50 minutes (on my original ballot entry I said 7hrs 30, but decided to be a bit more realistic). I could have said a target time of 9 hours, but I’ve heard from friends that have done Etape-style events on the continent that that just means you start late, just in front to the broom wagon (the car that will tell you to stop if you’re not going to come in under the time). If this is to be the case here, I’d like to give myself a bit of a cushion. I’m afraid we’re going to have to do a bit of imperial-metric gymnastics here, mainly since my Strava shows metric data (but also because, if you’re a serious cyclist, you must always think in metric). One hundred miles translates to just under 161 kilometres. If we ignore stops for food and ‘comfort breaks’, to finish in under 9 hours, I need to average a speed of 17.9 km/h. For a finish time of 7 hours 50 minutes, on the same non-stop basis, that average speed needs to kick up to 20.55 km/h. I’m a pretty slow cyclist (for all that I go on about it). My average speed of late is around 22 km/h. But that is for rides of between 25 km and 35 km (16 – 22 miles). On the day, I’ll need to keep going for 5 or 6 times longer, as well as factoring in time to eat (and to sob gently to myself in a hedge). It’s pretty obvious. I will need to train. I will need to work up to these sorts of distances slowly. Going all guns blazing over Christmas caused pain in my knee that only feels now like it’s settling down. 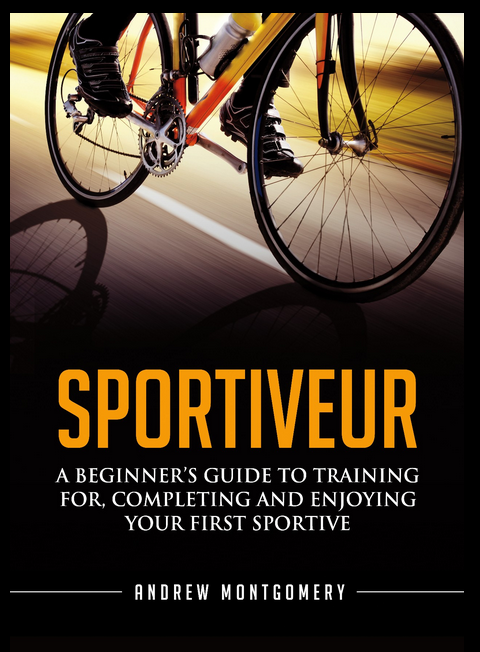 I need a training plan, with objectives and ‘deliverables’ and all sorts of other grown-up concepts. I will attempt to come up with a sensible training plan in the next few weeks. I will certainly share it on this blog. I will also be sharing my progress towards the goal. I don’t think I’ll be posting all my Strava data here (unless I can think of how to present it in a non-tedious fashion). If you do want to see it (in real time! ), you can follow me on Strava. If you are signed up to do RideLondon, or are doing any other sportives this year, I would love to hear about your targets and preparations. I am also prepared to accept comments and suggestions from triathletes. Colm Rainey liked this on Facebook. I’m doing the ride as well and lookign forward to it. It’ll be the longest ride that I’ve done as well but I am fairly confident that I’ll be ok. I’m doing the London to Brighton Charity ride (done it twice aleady) and Nightrider (done it once alread) both of which will be quite good training. I woudl highly recommend Nightrider. It was fantastic fun last time. Cycling through London in the middle of the night is really a very unique experience! Thanks Giles. I hadn’t heard of Nightrider but just looked it up. It looks excellent and I think I’d be signing up if we weren’t moving out of London (I have a dispensation for RideLondon). I have friends that have done London to Brighton at night and they said that was great. 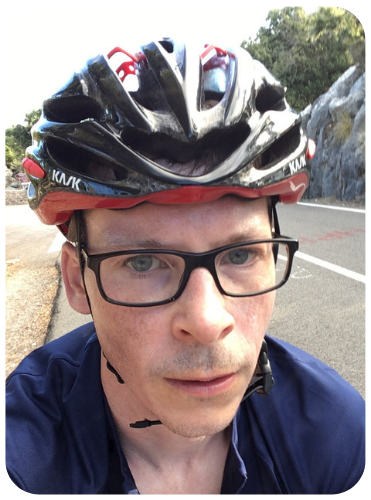 I’ll see if I can link Strava into this blog somehow (it must be possible…).